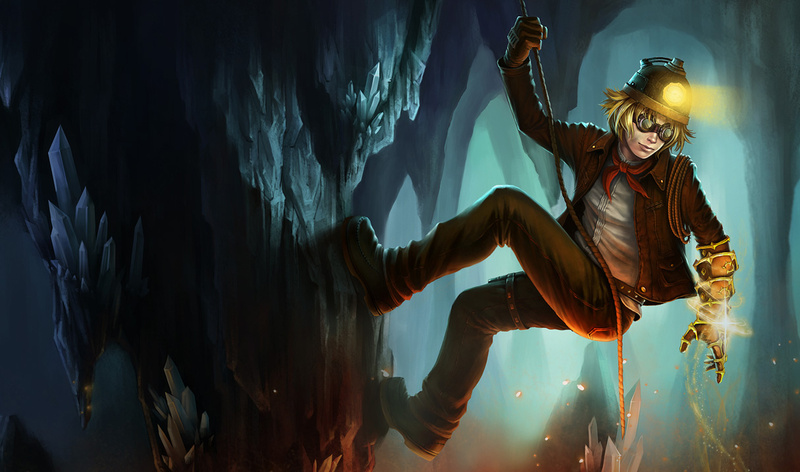 Map awareness is one of the more important things in League of Legends – without it, you’ll see yourself dying more often and falling far behind. However, if you learn the map and understand what is going on, it is highly beneficial. In this Mobalytics guide by PicklePants, we will go over numerous ways you can help improve your map awareness without buying wards. These skills are not something you can improve overnight. It takes lots of practice and work overtime for it to be at a high level. If you are still new to the game, you may find yourself struggling to interpret and understand what the map is telling you. If you know and understand what is happening in all lanes and at any given time, the game becomes much easier and you’ll be able to make better decisions which lead to more overall wins. When you first started out playing League, you may have only used the lock camera feature. Naturally, most people don’t like change and may not branch out to try the unlocked version of the camera tool. This is a very underrated feature in the game, in my opinion, and it can really open up your game sense. Not only will it allow you to see what’s going on, but it will also allow you to maneuver around the map with ease when clicking on it the minimap. This also gives you the added bonus of not having to hold down the mouse button when you click on the map and look at your allies. Learning how to use the unlocked camera feature was a very hard thing for me to to get used to which is why most people don’t try to diversify their camera control. Back in my day, there were not many videos on YouTube that taught you how to use the unlocked feature but thankfully, there is now. If you want to give playing unlocked or semi-locked a go, check out this video by Expression Pixel. I use a type of camera control called “semi-locked.” Semi-locked is when you use both sets of camera controls during the game. I use the locked feature mostly when I’m focusing on farming and harassing enemies as well as in team fights, and switch to the unlocked feature when I’m roaming or walking around the map and during the laning phase. The progress of learning how to use the unlocked camera has made me a better player as a whole and has improved my map awareness. Using the unlocked camera will give you a much clearer view of the whole game. I think a lot of players do not realize how much of a disadvantage they are at when using the locked camera all the time. I would highly recommend you try it and observe the differences in the amount of information available to you. 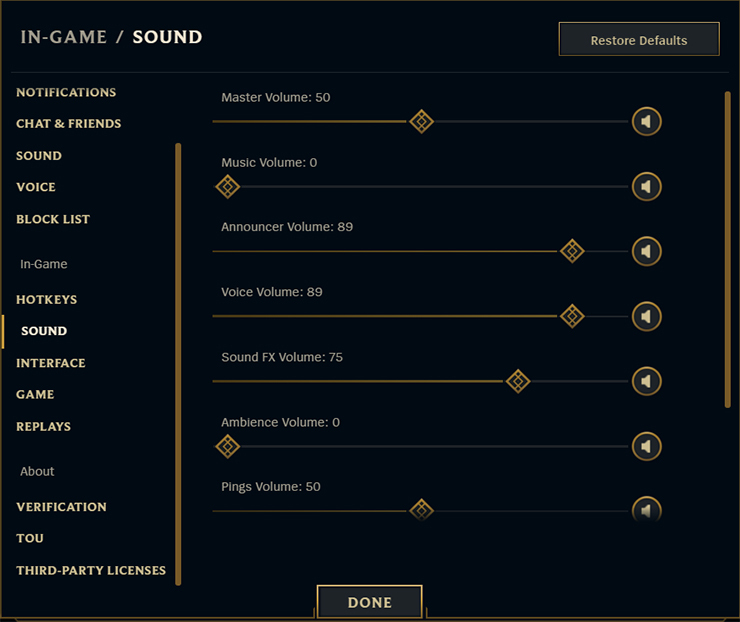 League of Legends has a built-in sound editing system where you can choose how loud you want certain things. One of the many choices you can make revolves around pinging. In real life, if a strange noise happens, your attention gets diverted and you will move your attention towards it- this is what can happen in League too. Having an annoying noise like a ping will force your attention to go onto the map and look at whats happening. I understand that not everybody likes having pings enabled, especially with trolls and spam-pingers. Thankfully, Riot has introduced a feature that can block player pings. Now, you have you no excuse for having the whole system muted. Having pings enabled and “loud” will also allow you to understand what is going on in the map. If somebody is pinging, there is most likely a reason for it. Having a quick glance at the map will allow you to determine if this ping is an immediate threat and if it is beneficial to you. If it is, it will allow you to not get caught out: which in turn, will allow you to stay alive. With that said, there are other audio features in the client and in-game that you can change. Because you need to focus on the game, you may find yourself benefiting from muting audio that is not necessarily going to help you improve. For me, having music and ambience volume in game is not beneficial, so I have both of those muted. If you’re somebody who listens to YouTube videos or music while you play, you may need to turn the volume down or choose different types of music. If the music volume is at 100%, it might overpower the ping sound and cause you to miss pings that are intended for you. This can cause harm for yourself and your team. Keep the music to a minimum to focus on the game. Generally, sad or slow music isn’t exactly favored when it comes to map awareness. Music that involves heavy and frequent beats is something that is perfect for League. Genres such as dubstep or electro are more common and are generally the go-to type of music to play to. If you didn’t notice, there are plenty of music playlists out there already dedicated to League of Legends which have mostly “beaty” type songs in them. I’m no magician (musician? ), so I don’t know the magic behind why these music types work – but trust me, they do. This is probably the easiest thing to do if you’re really struggling to concentrate on the map. If you use this video for a few games, you will pick up the habit really quickly and eventually you’ll be able to do it naturally on your own. Many of the pros stream League of Legends on a daily basis on Twitch.tv. If you watch their camera movement and their actual webcam, you can often see whereabouts they’re looking at any given time. Many of these pros also have high APM, which allows them to move around the map and pick up all the necessary information that they need quickly. Having high APM is not something that is super important, but it allows them to do many actions quickly. Watching how they play and what they do at certain times is one way of getting into a routine to improve your map awareness. League of Legends relies on a lot of muscle memory and experience to understand what is happening and what would probably happen soon. Having an eye on what is going on in game will save not only yourself but your whole team. For example, if you know the enemy is playing a roaming champion, you would need to ping when they go missing. As pros have so much knowledge about the game, they would know whereabouts the enemy is most likely headed as well. Have you noticed that most pros also ping MIA really quickly after an enemy has left? A quick responding ping allows their allies maximum time to get out and survive if things go bad. This is one of the biggest differences between pinging in low and high elo. With the increased popularity of eyetracker in League due to many streamers and Youtubers taking advantage of the tool, you can now observe how pros play even more closely. If you don’t know what the eye tracker does, it basically tracks where your eyes are looking on your screen and in game. In this video by Bjergsen, you can see how often he looks at the map and around the side of his lane. He is also taking advantage of using the unlocked camera as his main camera tool and also having the pings at a high volume. If you don’t want to watch the pros, or watch them clickbait the eye tracker, you can watch yourself play. Our Challenger coach Moriarty recommends that you watch your replays often and think about what you can do during them to improve. You can catch Moriarty streaming Thursdays and Fridays on the Mobalytics Twitch Channel if you want a profile review! From Top lane to Support, each number is given to an ally at the start of the game. You can use F1 to make the camera focus on yourself (let’s assume you’re the Support), F2 to see your Top laner, F3 for the Jungler, F4 for the Mid and F5 for the ADC. They follow this method for each game – unless somebody role swaps. You can use these buttons to quickly see what is going on before returning to your own camera and getting back into the action. Using the function keys is a slightly quicker and more efficient way of looking at what your allies are doing compared to clicking on the map and dragging over to them. In the following video by LS, he goes into detail about why you should be using your function keys in game to maximize your map awareness. Using the F keys are not just for high APM and we don’t recommend you do what he does in his live streams, but using them when possible is a great way of seeing what your team is doing fast and reliably. If you don’t like using the F keys or if they’re in a terrible spot for your hand position, try rebinding them to something different. I struggled using my function keys in game before I rebound them. I now use them on Shift+ 1,2,3, etc. If you have a mouse that has programmable buttons, you could also try putting them on there. The Support and Jungler roles both rely heavily on map awareness to help their team come out ahead, so playing the roles will naturally help you develop map awareness. Without good map awareness, the Jungler will be unable to gank any lanes or apply any pressure. The Support needs to have perfect map awareness and game knowledge to help protect the ADC and make plays for their team. Since neither of these roles relies on last hitting or farming, you can have your focus on other means that are more important for your team instead. Playing one of these roles allows you to be a hawk on the Rift. Keeping an eye on what everyone is doing allows you to coordinate with your team to make up game plans and dictate the game with heavy macro. Whenever you’re safely farming, you can use the function keys or click on the map to look at what your allies are doing and how their lane is going. If they’re not doing so hot, you may be able to gank them. If your allies have put the enemy in a position for you to gank them, you need to act upon it and get them the advantage in lane. However, do not just focus on your laners – make sure that you kite the camps, have the healthiest of clears, and do not get invaded by the enemy. With good map awareness, you will not only be supporting your ADC in the early game, but your whole team. Knowing what they’re doing and how they are holding up against the enemy will allow you to rotate and roam to their lane as well. We’ve tried to make a different guide this time around. Many players think just by purchasing wards and placing them will help them to improve their map awareness automatically. While that is true to some extent, you actually have to put in the hard work and follow up with warding to see them. 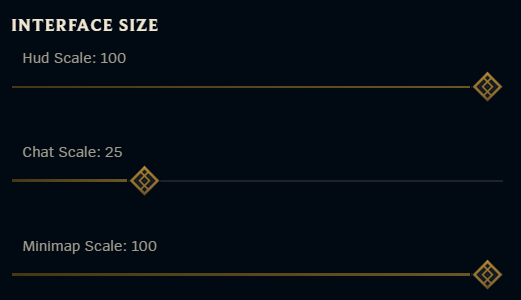 If you buy wards, but don’t check the map regularly, the wards you purchase or place would be useless. Overall, map awareness is crucial to improving at League and we hoped you learned something in this guide. Thanks for reading! We hope you found this article helpful. Did we miss any tips and techniques for improving map awareness? Let us know in the comments below. As always, you can find Picklepants in our Discord if you have any questions. Curious because whenever I am alive, I lock the map, how long does it take to get used to a semi-locked map? Unfortunatly, it takes time to learn anything new in League and it’s a real learning curve when trying to change your ways. Many are used to locked and switching can be difficult. I would recommend that you try to switch over gradualy as you would see better results over time and you would eventually get the hang of it properly. So really, it shouldn’t take to long to get used to to begin with, but using it efficently is a learning curve and does take a while.